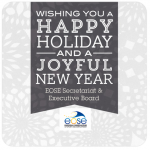 At the suggestion of Bart Ooijen from the Sport Unit DGEAC, EOSE through his former Board Member Stephen Studd applied and was accepted as an expert to join the ESCO reference group on “Arts, Entertainment and Recreation” in early 2013. 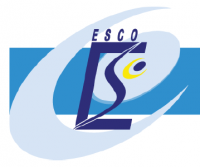 The aim of the ESCO project is to create a map/database that will eventually cover all Sectors and all Occupations in Europe. The database will underpin a range of “tools” to be used by the Employment Services across the EU to help the unemployed and young people to find employment and to choose the right qualifications. This database will be built by “volunteer” experts selected from Sectors by the Commission who will develop 3 Pillars of information. A small group of 4 people have been appointed to represent the sport and active leisure sector. Qualifications that match the skills required. As mandated expert, Stephen Studd attended on behalf EOSE two ESCO meetings in 2014 . On 13th and 14th of January, the meeting focussed on building a map of the key occupations in the sports and active leisure sector under each NACE code. The EOSE classifications (NEARS and NEORS) were put forward by Stephen to provide the basis for the occupational map. These have been uploaded into the library in the ESCO database. On the occasion of the 30th of June- 1st of July meeting, the expert group was introduced to the new on-line database which is being developed and given a tutorial in its use and how to upload documents. A company, Tenforce, has been appointed as taxonomy experts to work with the experts to manage the process for completing the required databases. The sport group further refined the occupational map and began work on defining occupational descriptors to be uploaded into the database. It was agreed that the EHFA fitness standards should be used as a model and could be uploaded directly into the database. Uniquely in the sector, these are the only occupational standards to have been consulted upon at a European level. Subsequently, Stephen Studd was asked to prepare occupational descriptors for facility managers, operational staff (attendants, lifeguards, stewards, groundstaff), organisation managers (sports administrators) and officials. These drafts were submitted at the end of November. The representative from the European Coaching Council will provide descriptors for coaching and EC-OE for the outdoor occupations.